This past Thursday afternoon, we had the great pleasure of working with the Family Zimmerman – as they stopped by our studio for some super-deluxe holiday portraits!! 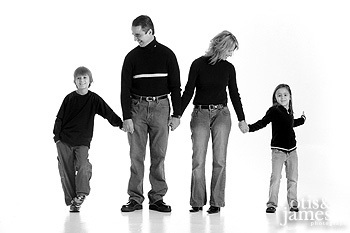 The family was a total joy to work with, and they made our job absolutely easy to do! They were color coordinated, and ready to rock – and rock they indeed did. We thank them for coming down to the magic zone (I’m not so sure if that is the best name for the studio, but you gotta try it once), and we’d now like to offer up some digital representations of the images that were captured by our CMOS sensor – Enjoy! Next Next post: Dan & Joy!